It&apos;s official. Pantone have named their colour of 2019 as Living Coral - it’s a gorgeous, joyous colour, truly deserving of being celebrated, and our version of it, Vintage Velvet Rose, is a big colour for us this Spring. Coral hues radiate positivity, they’re sophisticated, vibrant and spirited and it’s a surprisingly easy colour to work into a bedroom. Team it with blues and golds and it exudes elegance and an Art Deco feel, whilst providing a hint of pretty femininity. Embrace this mood-boosting colour into your home as Coral is dominating décor this year, and we love it. Blue, Gold and Coral tones are a winning combination and hark back to the glamorous Art Deco era, which was one of the most influential styles of the 20th Century and remains a much sought-after design today. 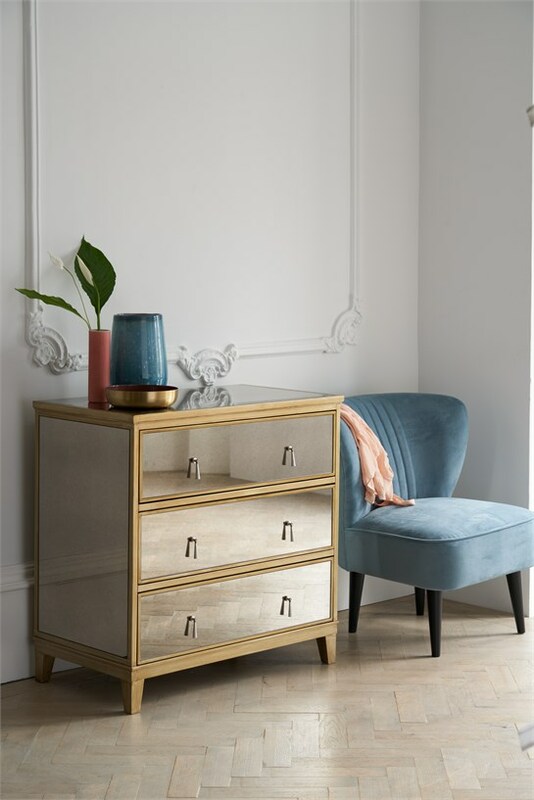 Give you bedroom an Art Deco flair with our gorgeous, mirrored, Gatsby Chest, which perfectly echoes the enduring allure of this beautiful and captivating style. Our advice is to team clean lines with sumptuous fabrics to create a striking, luxurious effect and our new, wing-backed, fully customisable Greta Cocktail Chair in Airforce Blue is the perfect pairing. We are loving Airforce Blue and have cushions, bedding and throws all available in this colour choice to create a complete and co-ordinating look. Team our 100% cotton, sateen finish Luca Bed Linen and plush velvet Cassette Cushion with our new, Aiko Cushion that’s been intricately embroidered with Crane birds and grey piping. 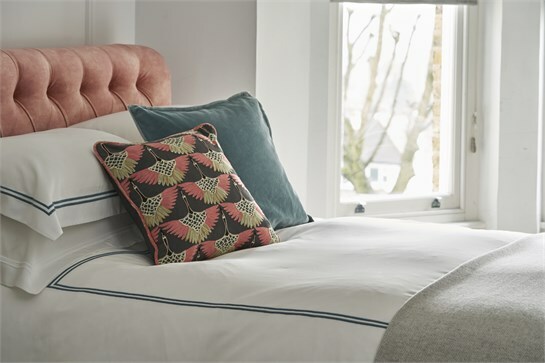 This colour and cushion arrangement look stunning against our Vintage Velvet Rose fabric, and our Herringbone Airforce Blue Trim Throw provides the finishing touch to this vibrant bedroom scene. 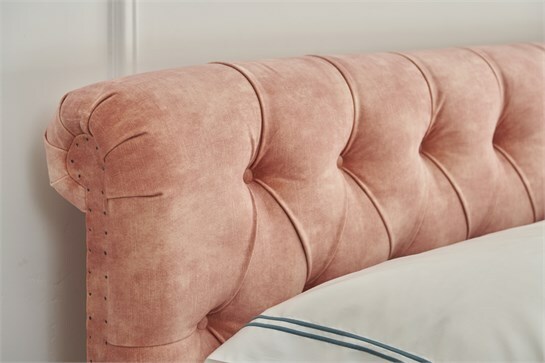 The warmth and buoyant hue of our Vintage Velvet Rose fabric couldn’t be more at home than on our Antoinette Bedstead, which offers the delicate and detailed styling of a scrolling headboard and deep buttoning. It sumptuous, it’s uplifting and inherently elegant. Coral tones work in the home across every season depending on what colours they’re teamed with. For Spring, we are all for the happy marriage of coral and blue – think blue skies and pink sunsets, tropical oceans and peachy coral. When nature offers us such a sublime mood board it would be rude not to take note.